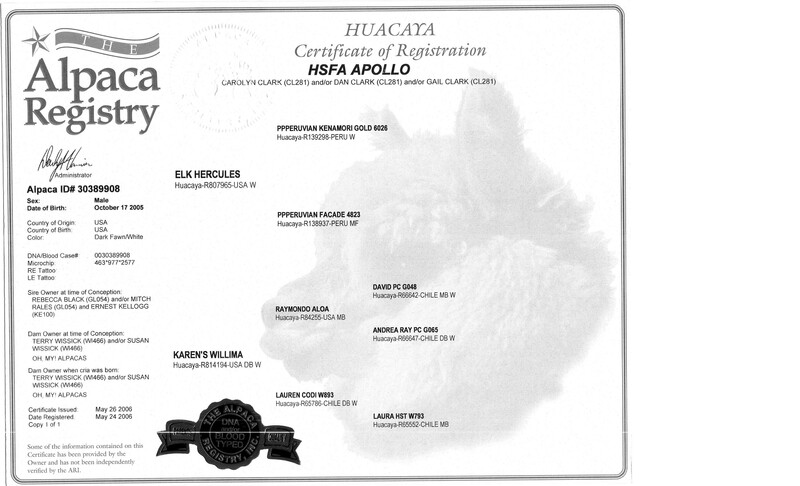 Hercules is a beige pure Peruvian male who consistently stamps density, crimp, bone, conformation, perfect bites, typey heads, perfect top knots and coverage galore on his offspring. 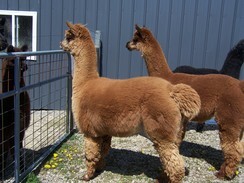 Willima's color is nearly mahogany, her fleece is very dense and she has excellent conformation. She is one of our foundation females and produces healthy, excellent quality crias with absolutely no birthing problems. Her personality is gentle and she's always easy to handle. Apollo is a lovely gentle large boy. His remarkably calm personality some would say probably doesn't fit his size, however he's truly a "gentle giant." 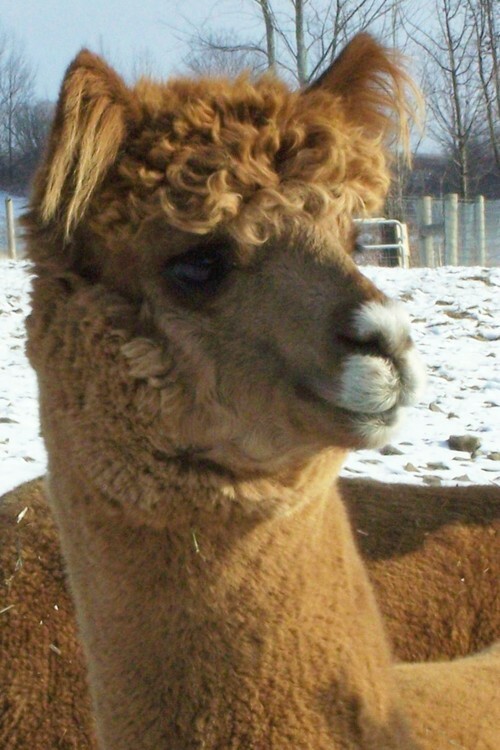 He was the first cria born on the farm and we chose his adorable face for our logo. 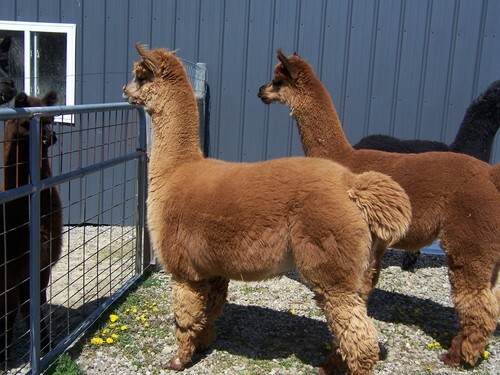 His fleece is dense with crimp and he graciously reflects the qualities of his sire, ELK Hercules.